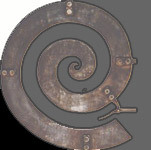 Devon Blacksmiths Forge - Wrought Iron Gates, Gifts & Ironwork for the home. The Sign Maker - Devon sign maker producing a large variety of signs - oak, cherry, rustic, slate, brass as well as Wheelcovers, magnetics and A boards - all individually made to suit your requirements. The Devon Directory - A useful site full of Devon Information including links to the arts and crafts websites in Devon. http://www.bedfocus.com/Iron-Beds.html - Iron beds give any bedroom a sense of style and class. Available in many different designs, iron beds provide the sturdy support you want in a bed frame.